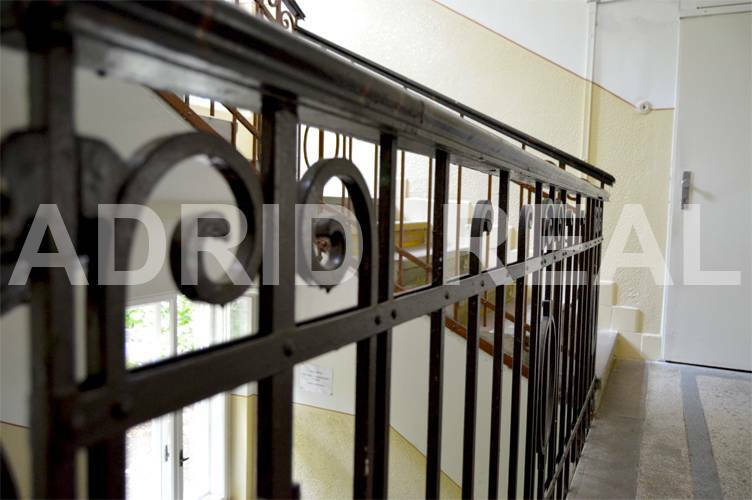 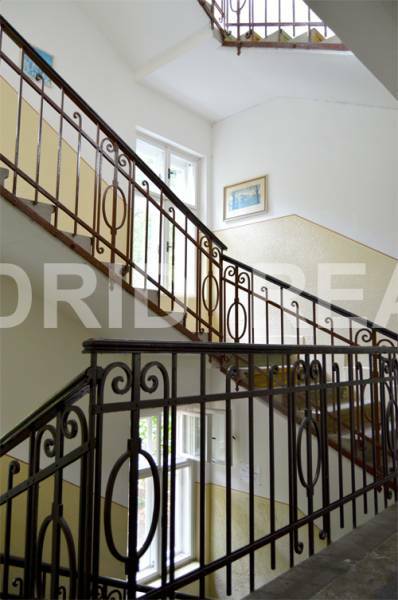 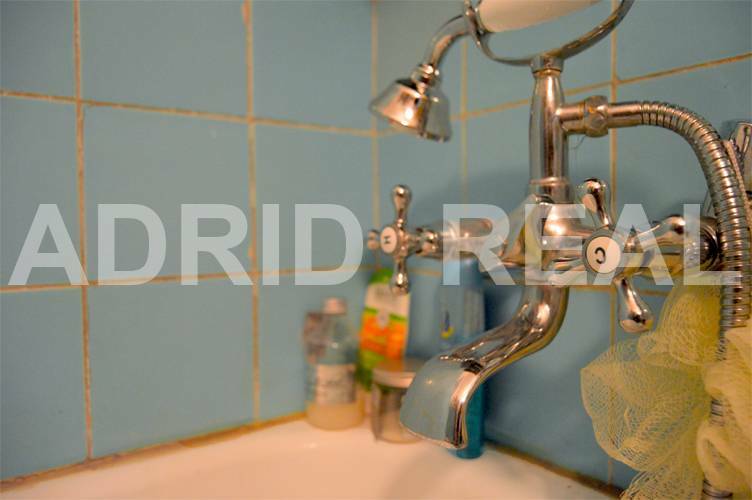 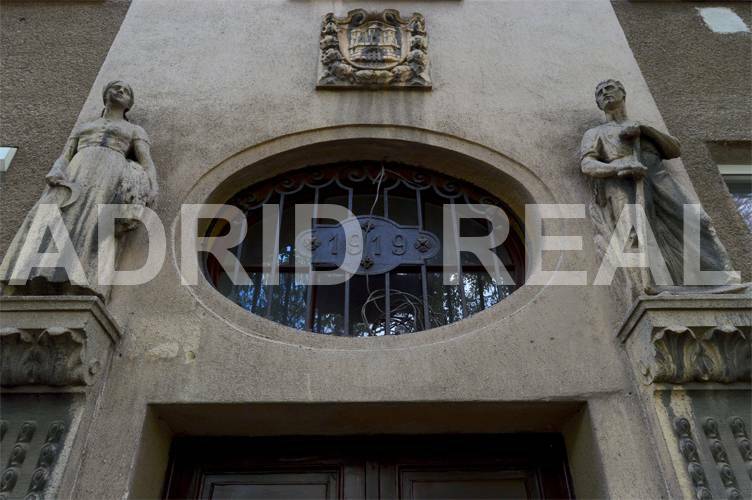 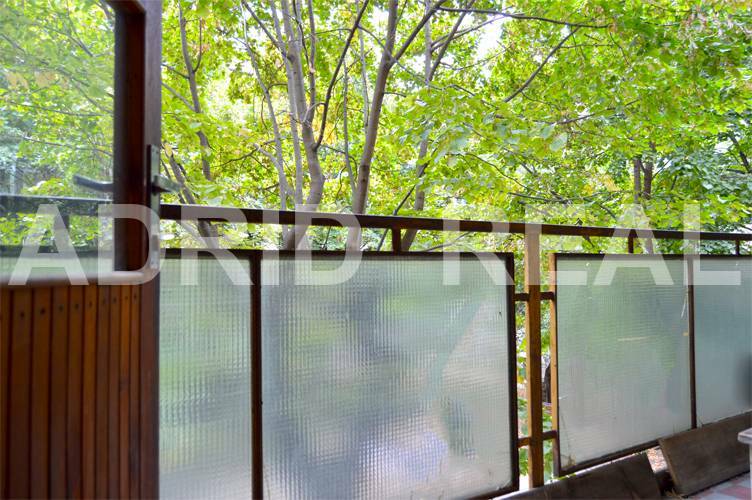 LIGHT AND UNIQUE TWO-ROOM FLAT FOR SALE IN ORIGINAL CONDITION - ADRID REAL s. r. o. 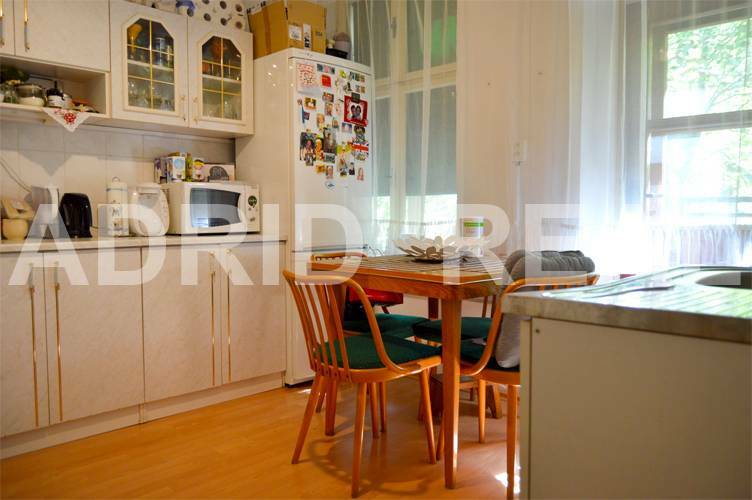 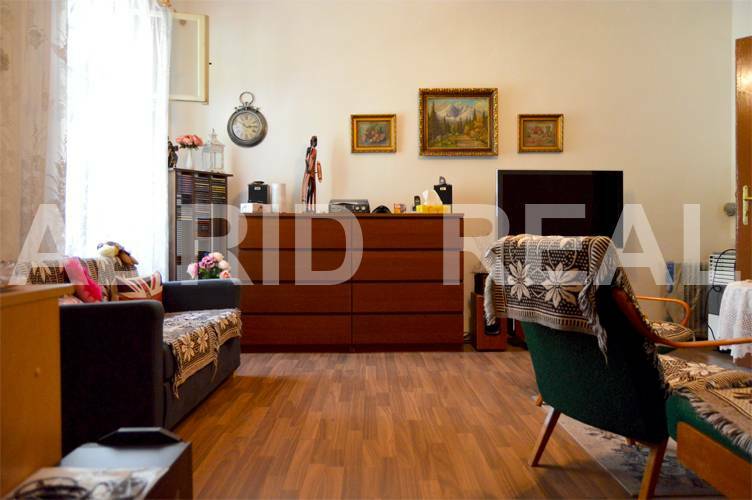 Unique, spacious and sunny two-room flat, with an area of 60,17 m2, with loggia, with an area of 3 m2, and with a cellar is located on 1/3 floor (underneath the apartment premises) in a brick apartment building from 1919, in a great location Bratislava - Nové Mesto, Kutuzovova. 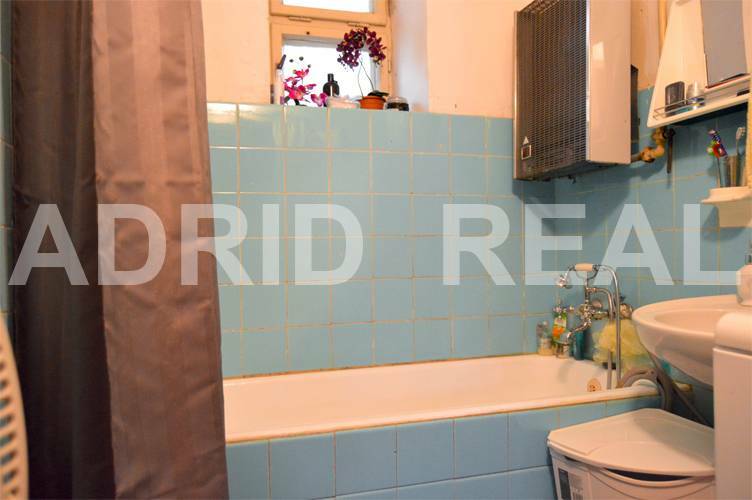 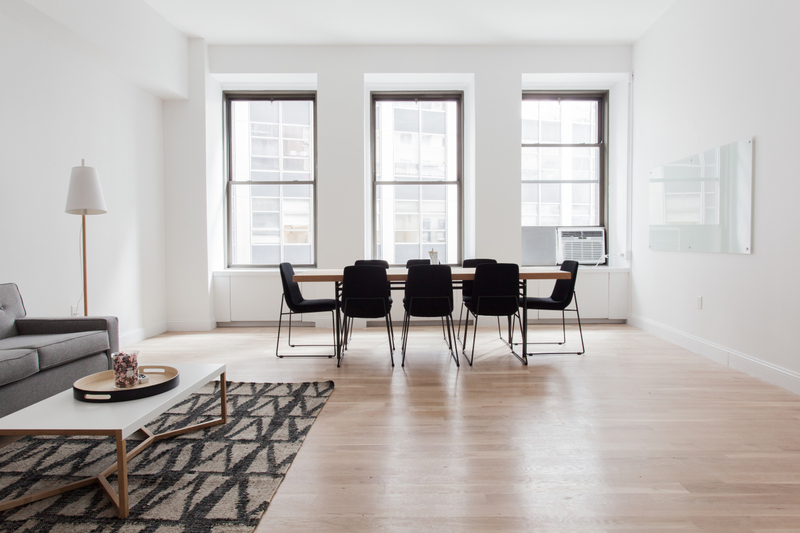 The two-room apartment is oriented from the bathroom and kitchen to the west, from the living room and bedrooms to the north-east. 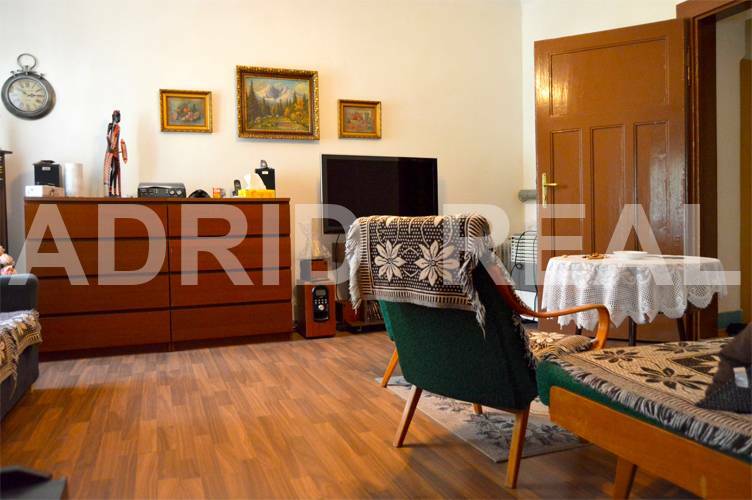 The technical condition of the two-room apartment is in a good original but maintained condition. 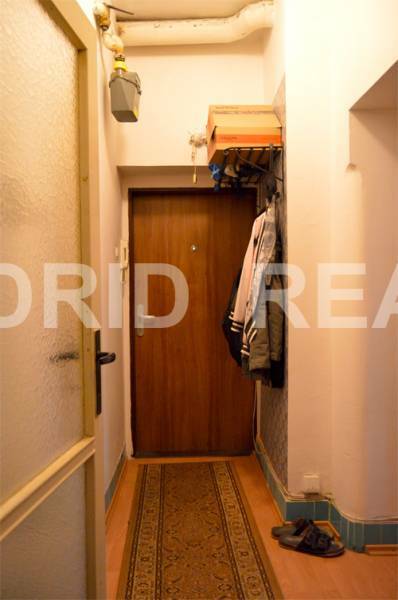 It has changed electrical wiring, has its own heating - a gas boiler, where there is no problem of connection to the radiators, has one supporting wall (wall leading through the corridor with the living room), in each room there are windows. 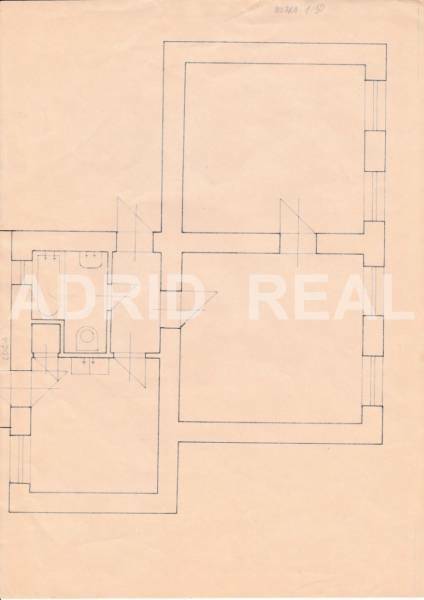 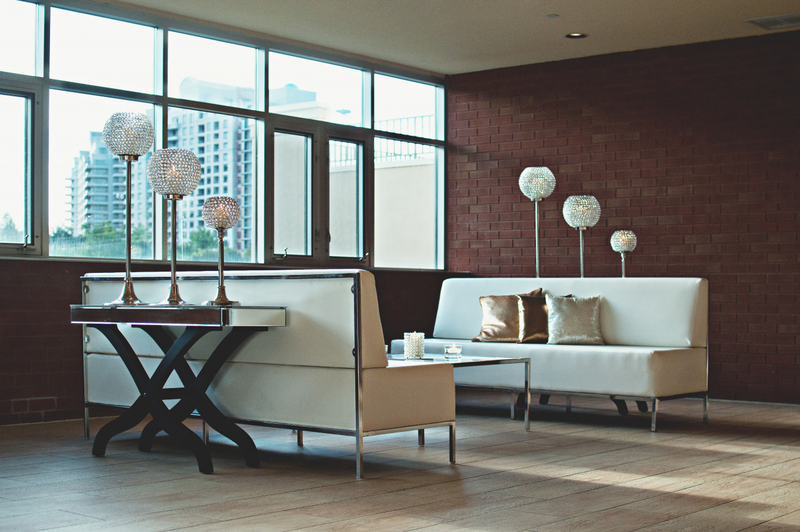 The apartment is sold without equipment, has laminate parquets in the rooms and 2.8 m high ceilings. 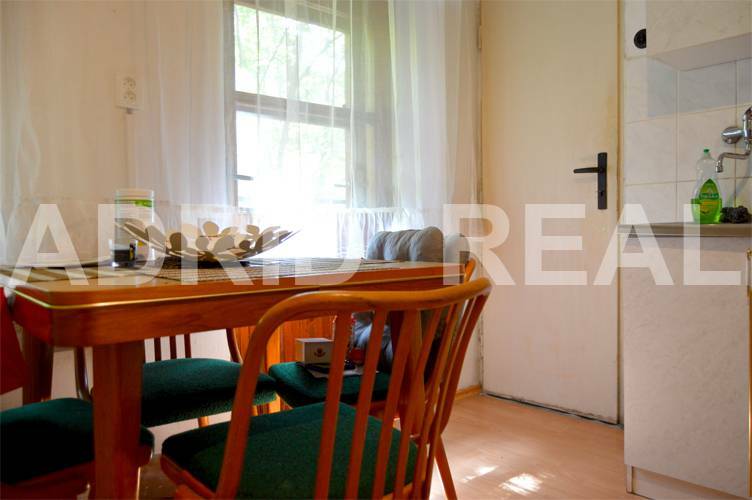 The brick apartment building is in a very good condition with a clean entrance, it has 3 aboveground floors and the ground floor on which are flats. 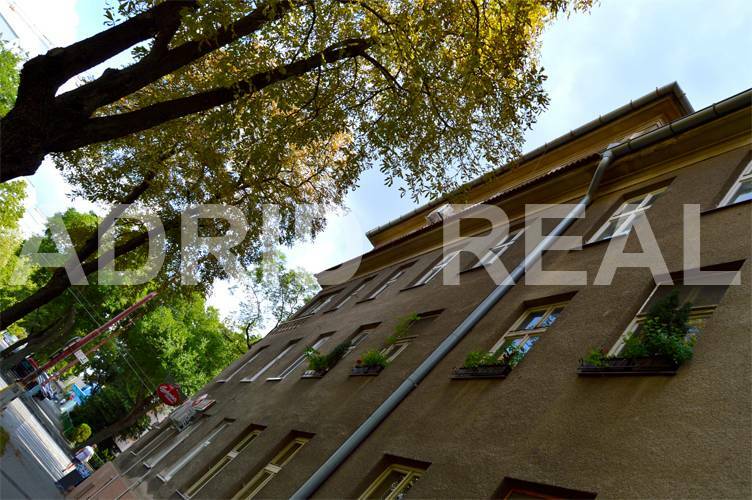 Each floor has 2 apartments. 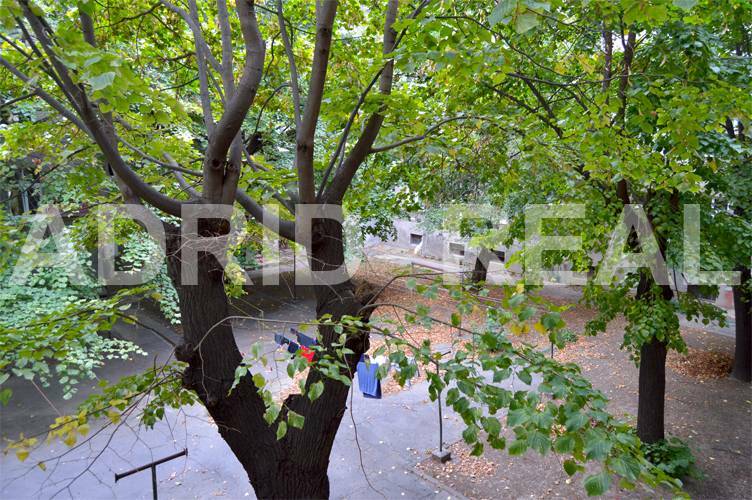 The apartment house has its own courtyard with greenery, which is also suitable for children to play. 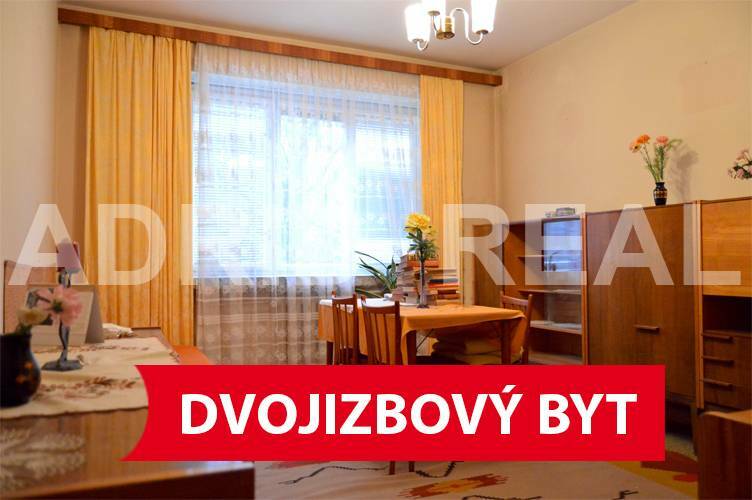 The monthly cost for a two-room flat is EUR 70,-/person + electricity and gas. 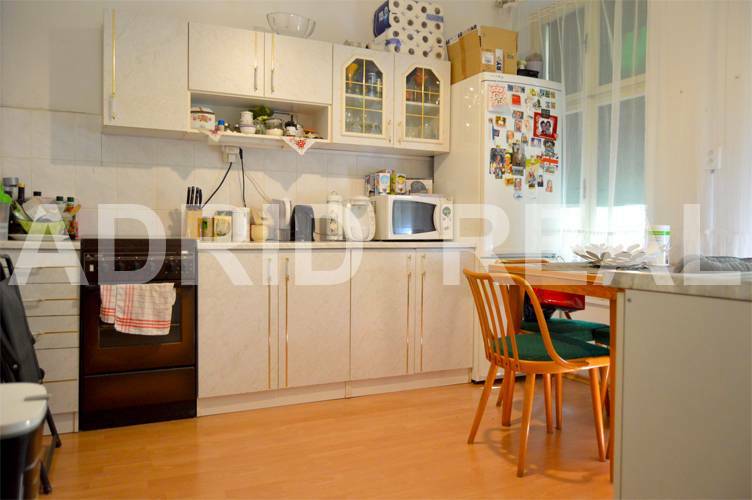 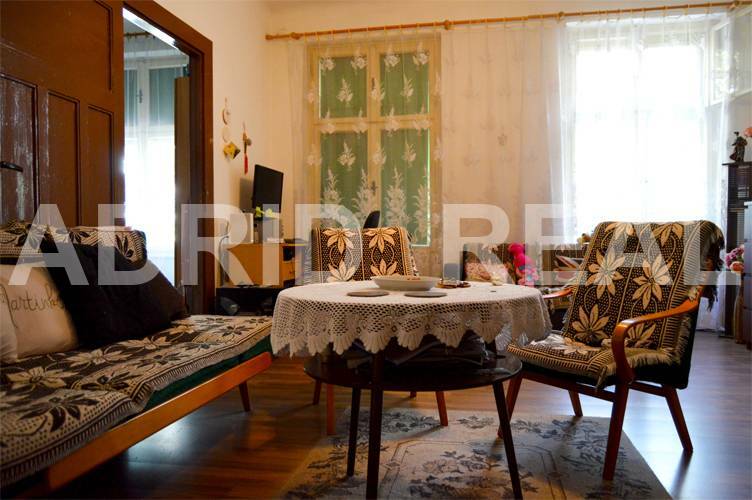 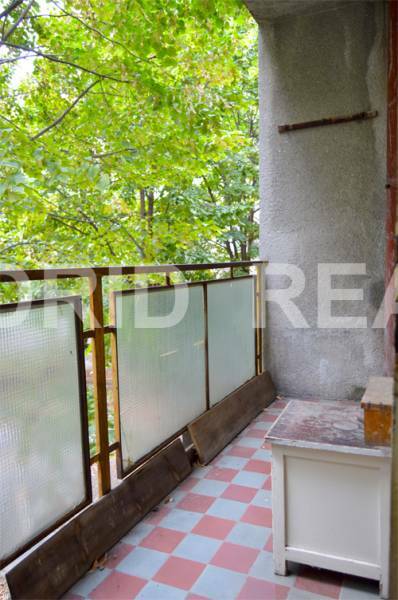 The adjacent location is one of the advantages of the property itself, in close proximity there is a public transport stop with a direct connection to the city center, Polus and Central shopping center, large playgrounds, shops, restaurants, Kuchajda lake and easy connection to the dial.